Recorded in July 1967 and released in October, before The Who’s “The Who Sell Out”, Van Park’s “Song Cycle”, or The Moody Blues “Days of Future Passed”, this album is more than just a collection of songs around a theme or concept; unlike many concept albums of 1967, this is a musical story — really the first such rock album to do this. This is a story that mixes fantasy, allegory and science fiction. It takes place in a psychedelic future, a six-dimensional city where Simon Simopath is a discontented little “citizen-boy” who more than anything wants to grow wings and fly. Set before the turn of the 20th Century, his parents, like many parents of millennials, encourage Simon, telling him he can do anything he wants to do. As one might guess, and as said to be the case with many millennials, Simon, on leaving school drifts from job to job, “unable to derive fulfillment from his work”, depressed for not having wings. This results in a breakdown and Simon is hospitalized. Unfortunately, mental therapy is not any more advanced in 1999 than it was in 1967, and Simon is released without results after six days. Fortunately for Simon, he writes the Ministry of Dreams for the chance to take a supersonic space jockey test and passes, thus winning his wings, so to speak. But note, we are still on side one with six more songs to go in this relatively short, approximately 25 1/2 minute album. 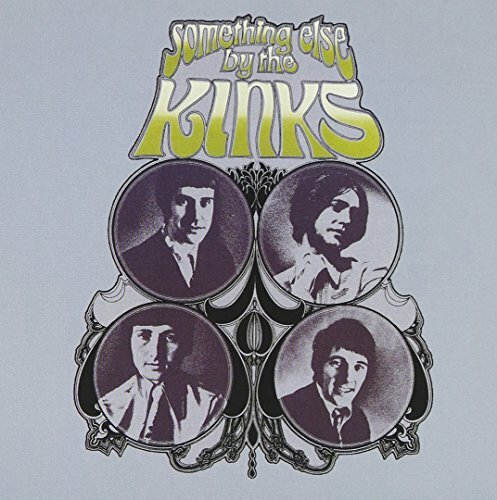 About halfway through their four year ban from performing in the U.S., something that deprived the group of significant financial opportunities during their prime years, the Kinks released their fifth studio album around September 1967. Side two begins with the simple but catchy Dave Davies’ “Love me till (sic) the Sun Shines”, followed by a partly-psychedelic “Lazy Old Sun.” Dave Davies’ “Funny Face” is well arranged and includes an effective contrasting bridge-like section, similar to something Brian Wilson might compose. “Waterloo Sunset” is one of Ray Davies’ best compositions ever, lyrically and musically, and brings a praiseworthy album to an effective close. All tracks written by Ray Davies, unless otherwise noted.